Site description: This house is a duplex, both washing machines were used to irrigate the yard. Due to the small size of the site, the washing machine greywater alone irrigated the majority of the backyard plants. 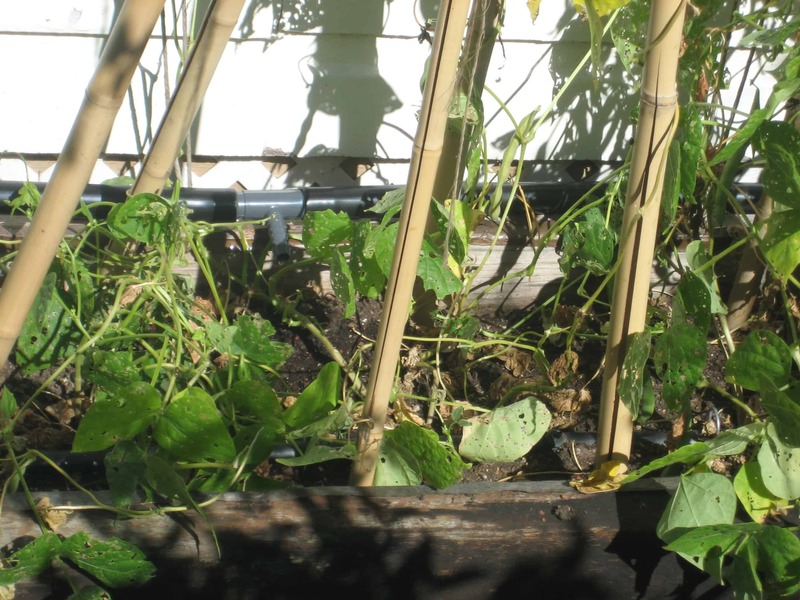 Only one raised bed was not irrigated with greywater. This bed is on a drip system and will be dedicated to growing all the root and small vegetables that are not safe to irrigate with greywater. 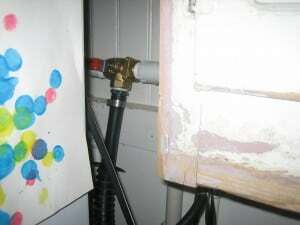 3-way valve is tucked behind the washer. 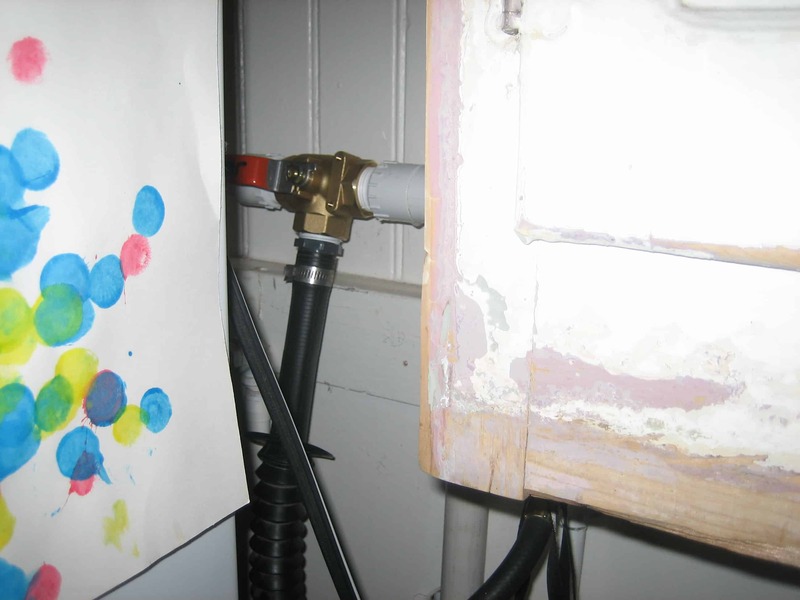 The 1″ brass 3-way valve is tucked behind the machine as the laundry room area is very small with little wall space. The upstairs unit has a similar set up, both machines are located on the exterior wall by the backyard side of the house. 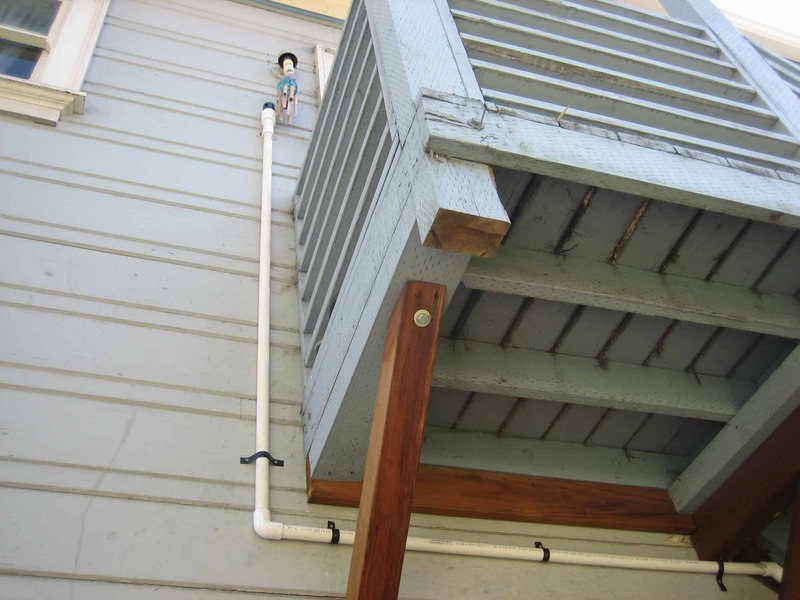 The greywater pipe from the upper unit is strapped to the side of the house.This 1″ PVC pipe will be painted the same color of the house to protect it from the sun. 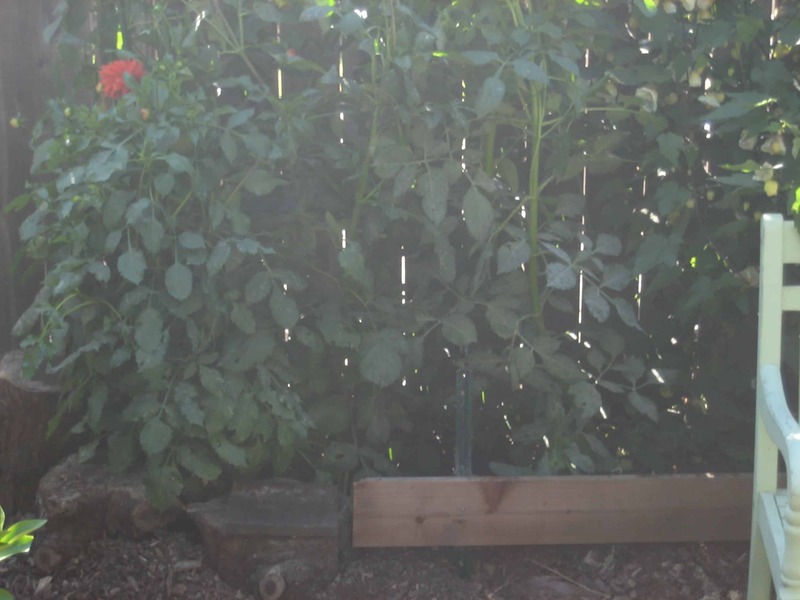 Greywater irrigates the majority of the plants. 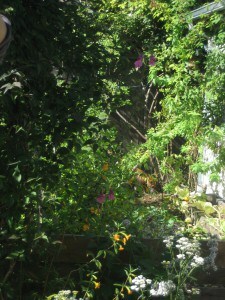 The perimeters of the garden are planted with large, fragrant flowering bushes and vines. The 1″poly tube is laid down the middle of this narrow raised bed. 1/4 inch holes are drilled towards the bottom of the pipe to distribute greywater through out the bed. 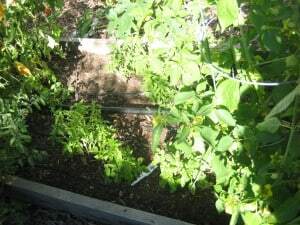 The bed will be mulched with straw and planted with veggies with the edible portion of the plant above the ground to avoid coming into contact by the greywater. This bed is also irrigated with greywater. Instead of having a pipe run down the middle, it is attached to the edge of the bed. Tees are inserted every foot or so along the bed and greywater pours onto the mulched soil. 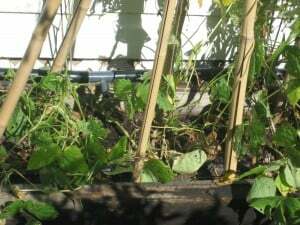 It is important that the edible portion of the plant be above the soil, like with these bean plants. Maintenance and trouble shooting: Replacing mulch, monitoring raised beds to maintain an even distribution in the bed.